Shoulders are a complicated part of the human anatomy and unfortunately one of the most vulnerable to injury since it is one of the most moveable joints in the body. People involved in physical labor or sports often incur shoulder problems from the repetitive nature of their task. Job related shoulder injuries can be caused by lifting heavy objects, falling on an outstretched arm, a sudden slip and fall or from reaching overhead. Approximately 7.5 million people seek medical treatment for a shoulder injury each year. Most of these injuries involve the rotator cuff, a network of tendons covering the head of the arm bone and attaching to the socket of the shoulder blade, although other common injuries include arthritis, bursitis and shoulder separation with damage to the tendons, ligaments and muscles in the shoulder area. An injury to the shoulder can also be caused by work-related accidents, motor vehicle collisions, slip and fall or other accidents. If you or a loved one suffered a shoulder injury as the result of the careless or negligent conduct of another person, contact a shoulder accident lawyer to discuss your legal options. Shoulder injuries are of two types: instability and impingement. An unstable shoulder injury has symptoms of pain caused by raising your arm and has the sensation of your shoulder slipping out of place or alignment. An impingement is where the muscles rub against the top part of the shoulder blade, leading to inflammation. Treatments vary short of surgery. Conservative treatment may consist of cortisone shots to the joint and tissues. More radical procedures are shoulder surgery to repair a torn rotator to clean out a torn labrum. Joint replacement is also available for more serious cases. 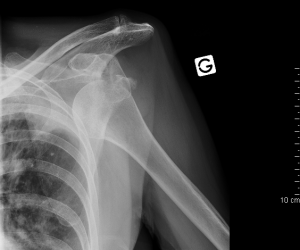 Once your shoulder suffers one of these injuries, chances are that it will never be the same. Many sufferers develop arthritis over time and have chronic pain for the rest of their lives. Shoulder injuries can be aggravating and frustrating and often lead to complications with treatments ranging from injections to shoulder replacement surgery. For some people, they may have to give up a favorite recreational activity or have to be severely limited. Seek the compensation you deserve by scheduling a free consultation with Burns & Jain, a Boston personal injury law firm who has been dealing with shoulder injuries and their consequences for since 1985.